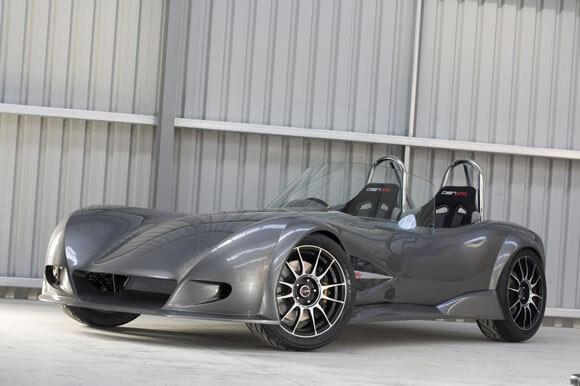 The Hypercar DSN390 is the brainchild of Kiwi engineer Neil Gray. I came across this car recently and couldn't help but notice how beautiful it is. Amazing for a 'homebuilt' car. Neil says DSN is short for 'don't stop now' something he said to himself a lot during the build. Four years in the making, the car only weighs a lithe 680kg, and has a 390hp V8 that only weighs 95kg's. The 2400cc Synergy V8 is his mate Simon's brainchild and because Neil made most of the original prototype he knew it was the motor for his car. The motor uses two ZX12R Kawasaki motorcycle barrels and cylinder heads and revs to 11,500rpm. It's well known in NZ Speedway circles and helps propel the DSN390 to 100km/h in around 3secs. That's Supercar quick! Read more about it here or go to hypercars.co.nz. I can't wait to see this beauty on the road.